CruCards are the primary form of identification for the UMHB campus. All students must obtain a CruCard. Along with identifying you as a member of the campus community, your CruCard gives you access to various privileges on campus. What are the benefits of having a CruCard? Your CruCard gives you access to a variety of services on and off campus. Carrying your CruCard on you at all times means you’ll always be able to take advantage of these services. 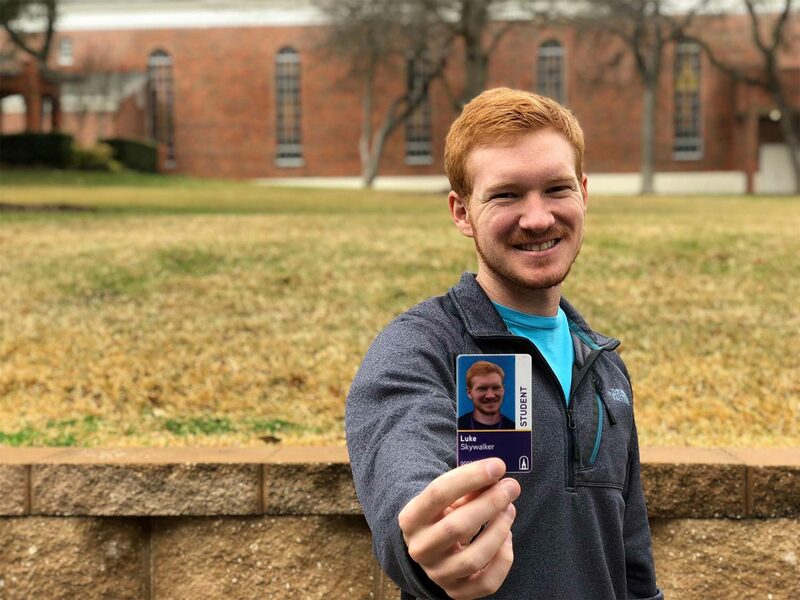 Your ID card has always been your key to using your meal plan and getting into your dorm after hours, but now your card can benefit you off-campus as well. Your card does everything from getting you into the football game to paying for your sandwich at a local participating vendor. With your CruCard, there’s no need to carry around numerous forms of payment. By depositing CruCash onto your card, you can get a burger at the 1845 Grill, buy a scantron at the Campus Store, mail a package at the Post Office, and get a soda from the vending machine with one single card. The system’s swipe-and-go design means you won’t get stuck waiting for change or for your debit card to be approved. With our new online system, myCruCard, you can monitor your CruCash account and report your card lost as soon as you realize it. This new option allows us to work toward a more secure campus. The new CruCard design makes it clear to see who is authorized to be on campus, and the clear picture makes identification easier. Plus, by keeping your funds on your CruCash account, you don’t need to worry about the safety concerns of walking around with large amounts of cash or cards.